In the 'Fields' menu you can enable 'Added by' column for your table. And you'll always see record's author in the 'Added by' column. You can filter by Web user too. On the 'Records' page there is 'Added by' filter, using which you can filter records by user who added it. You can always save the result in Report. 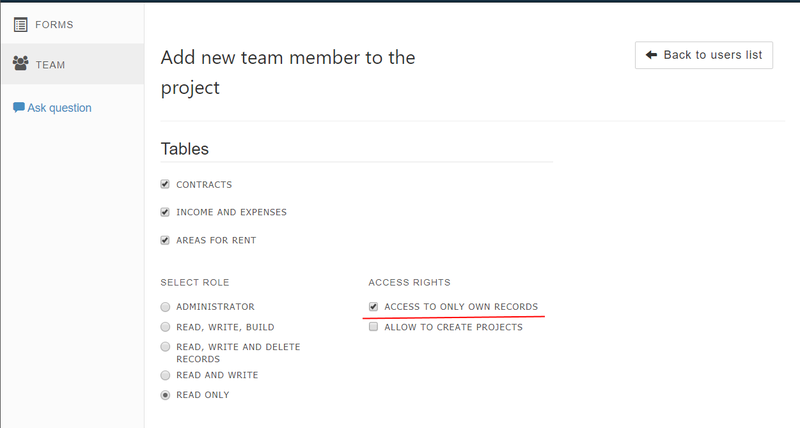 If you want to restrict your Team member to access only his own records you need to enable 'Access to only own records' option in 'Team' menu. This way user will only see his own record, which he submitted or imported to your table.